Dance therapy is a healing approach that involves the use of dance and body movement to improve physical, emotional, and mental well-being. Like music therapy, dance therapy is thought to promote healing in part by encouraging self-expression. In addition, dance therapy is said to reduce stress, improve self-confidence, and enhance mobility and muscle coordination. It is sometimes incorporated into programs for people with chronic conditions. Dance therapy may help to improve balance, endurance, and gait function in people with Parkinson's disease. In a review published in Neuroscience and Biobehavioral Reviews in 2014, for instance, scientists analyzed five previously published clinical trials comparing dance to no intervention or exercise in people with Parkinson's disease. Dance significantly improved motor scores on the Unified Parkinson's disease rating scale (UPDRS), balance, and gait speed compared to no intervention. Compared to exercise, dance improved balance and quality of life. Longer-term studies are needed to see if any of the benefits seen in studies are lasting. Although further research is needed, certain types of dance therapy may meet the requirements of exercise programs for people with Parkinson's disease. Several studies suggest that dance therapy may benefit people with cancer-related fatigue. For instance, a 2014 study of forty people undergoing cancer treatment with moderate to severe fatigue found that a dance therapy intervention (10 dance classes in five weeks in addition to counseling) improved cancer-related fatigue, emotional and social functioning, and physical performance compared to those who received standard care and counseling. Dance therapy may help reduce the risk of falling among older people, a 2015 review published in Archives of Gerontology and Geriatrics suggests. 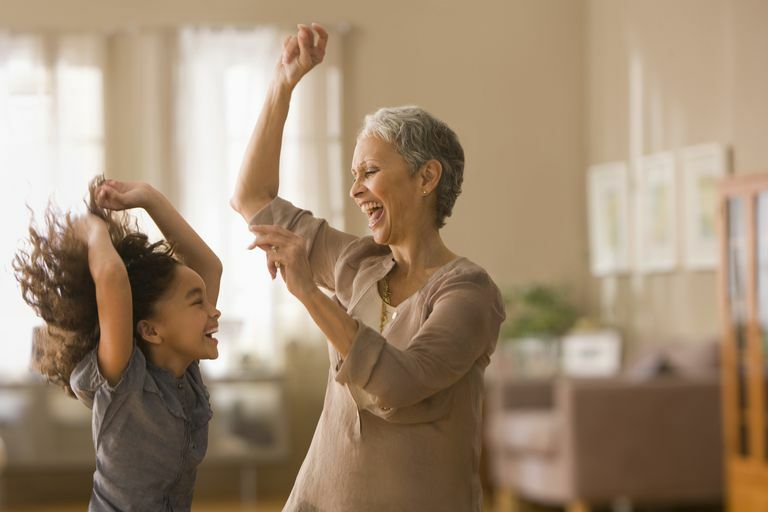 The report's authors analyzed seven previously published articles on the effect of dancing on fall-related factors (such as balance, flexibility, gait, muscle strength, and physical performance) in healthy, older adults. The studies showed positive effects on the risk of falling. However, the researchers state that there were issues such as a lack of homogeneity in the studies (including the type of dance) that limited their ability to draw conclusions based on the evidence. Dance therapy may help to improve mobility, balance, blood pressure, body mass, and quality of life in postmenopausal women, according to a study published in Menopause in 2016. For the study, postmenopausal women received either dance therapy for two months (three sessions weekly) or self-care treatment advice. Flamenco and sevillanas, two types of Spanish folk dance, were the styles of dancing taught during the sessions. At the study's end, women who participated in the dance therapy showed significant improvements in mobility and balance, fitness, energy expenditure, cardiorespiratory fitness, flexibility, and other measures. No differences were observed in blood pressure, body mass, or quality of life. For a report published in the Cochrane Database of Systematic Reviews in 2015, researchers analyzed previously published studies evaluating dance therapy for depression. However, only three small clinical trials were found to be rigorous enough to meet the reviewers' criteria. In their conclusion, the report's authors state "The low-quality evidence from three small trials with 147 participants does not allow any firm conclusions to be drawn regarding the effectiveness of DMT for depression." They also note that larger, high-quality trials are needed. If you're considering the use of dance therapy to treat a health problem, it's important to consult your doctor before beginning a dance therapy program and to work only with a qualified dance therapist. People with cancer and/or conditions like arthritis, osteoporosis, and heart disease may need to take certain precautions when using dance therapy. In previous research, tai chi (which combines movement, meditation, and rhythmic breathing) has also been found to boost balance and reduce the risk of falling among older adults. Fernández-Argüelles EL, Rodríguez-Mansilla J, Antunez LE, Garrido-Ardila EM, Muñoz RP. Effects of dancing on the risk of falling related factors of healthy older adults: a systematic review. Arch Gerontol Geriatr. 2015 Jan-Feb;60(1):1-8. Meekums B, Karkou V, Nelson EA. Dance movement therapy for depression. Cochrane Database Syst Rev. 2015 Feb 19;(2):CD009895. Sharp K, Hewitt J. Dance as an intervention for people with Parkinson's disease: a systematic review and meta-analysis. Neurosci Biobehav Rev. 2014 Nov;47:445-56. Serrano-Guzmán M, Aguilar-Ferrándiz ME, Valenza CM, Ocaña-Peinado FM, Valenza-Demet G, Villaverde-Gutiérrez C. Effectiveness of a flamenco and sevillanas program to enhance mobility, balance, physical activity, blood pressure, body mass, and quality of life in postmenopausal women living in the community in Spain: a randomized clinical trial. Menopause. 2016 Sep;23(9):965-73. Sturm I, Baak J, Storek B, Traore A, Thuss-Patience P. Effect of dance on cancer-related fatigue and quality of life. Support Care Cancer. 2014 Aug;22(8):2241-9.